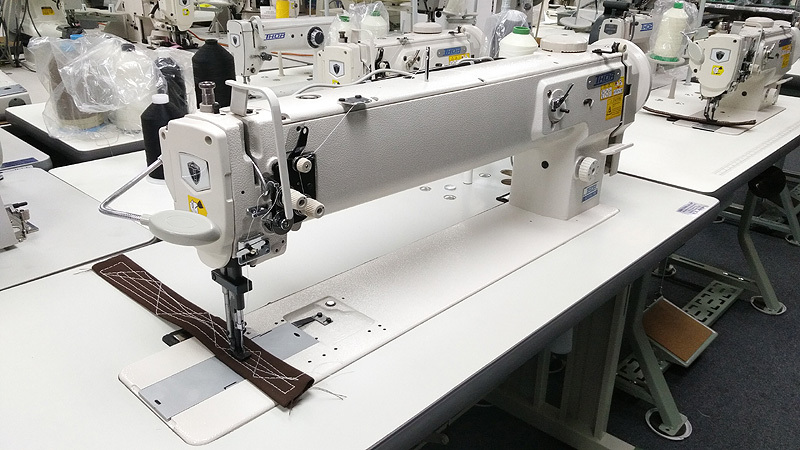 This 25 inch long arm - and 6" HIGH arm - single needle machine has a dual tension mechanism, with which the machine can support high tension sewing with thick thread. This means that the machine produces seams of excellent quality on a broader range of materials, extending from light to heavy weight materials. The THOR GC-1510L-25H has a unique feature which allows the user to simply dial in the walk height of the Walking Foot. This prevents the Walking Foot from snagging on thicker material.